Sometimes I come across recipes that just catch my eye and I can’t stop thinking about them – this one is no different. In the September issue of Food & Wine I came across this amazing recipe and knew I had to make it and share it with you all. 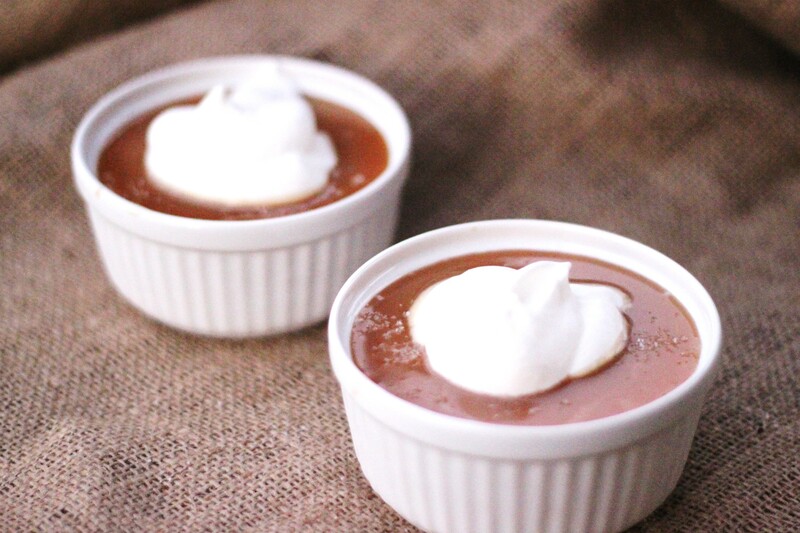 I’m not sure what attracted me to this recipe, maybe it was the salted caramel part or the part where I get to use my ramekins, which usually sit high up in the cupboard and seldom see the light of day or maybe it just seemed doable. I like doable. This is a great dessert to make when having people over. It has just the right about of fussy gourmetness (yeah, not a word – I know) and total ease. Best part, you can make them ahead. 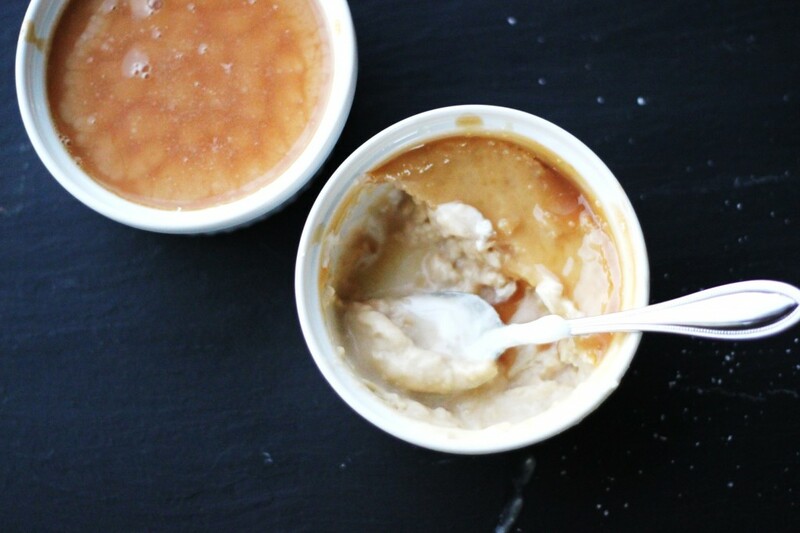 I used a bit of creative license with these by swapping out the caramel sauce in the recipe for a caramel sauce recipe of my own. I just know what I like. With all of that said, the taste of these little guys far outweigh the amount of effort put into making them and those that get to partake will agree. I hope you get to make these soon, they do not disappoint. 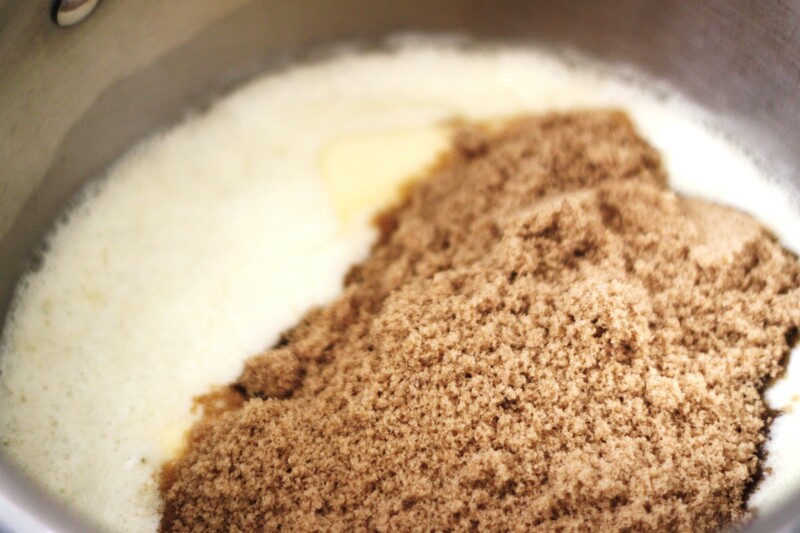 We start by making the butterscotch creme. 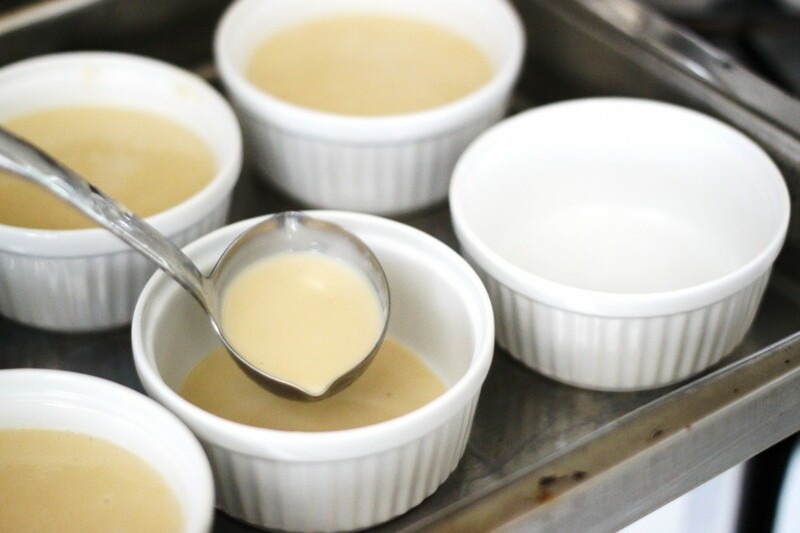 Which is essentially custard – the process is the same. Base of the butterscotch is butter with brown sugar melted in until nice and bubbly. Next you add in your cream. 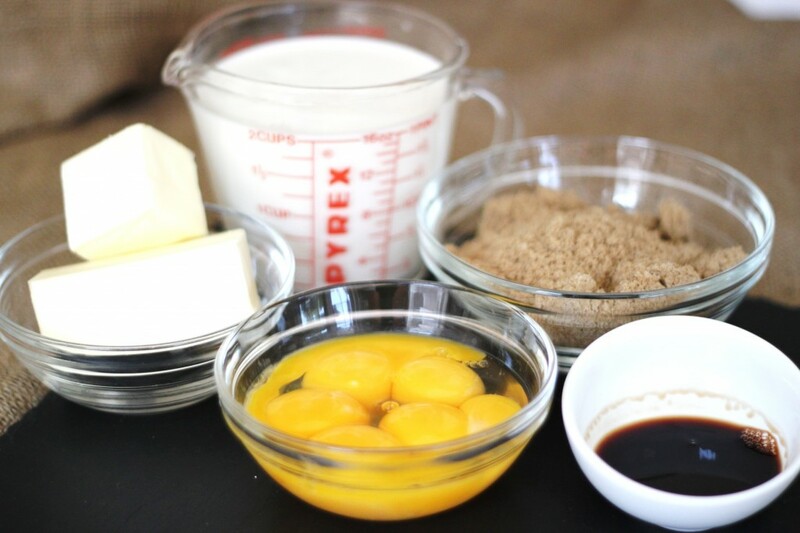 We need to combine the sugar cream mixture with the egg yolks. This can be tricky but we are going to use a technique called – tempering. All good custards have eggs yolks in them. We all know what happens to egg yolks when they get hot – scrambled eggs, anyone?! So the idea is to take some of the hot cream and temper the eggs. 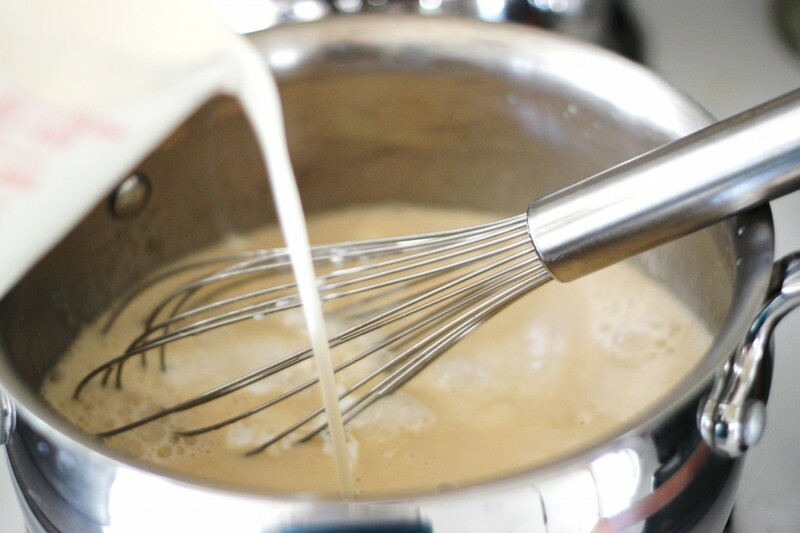 Simply put, just add a bit of cream mix to the eggs slowly and whisk. Do this a few times to ensure that the eggs will not scramble. 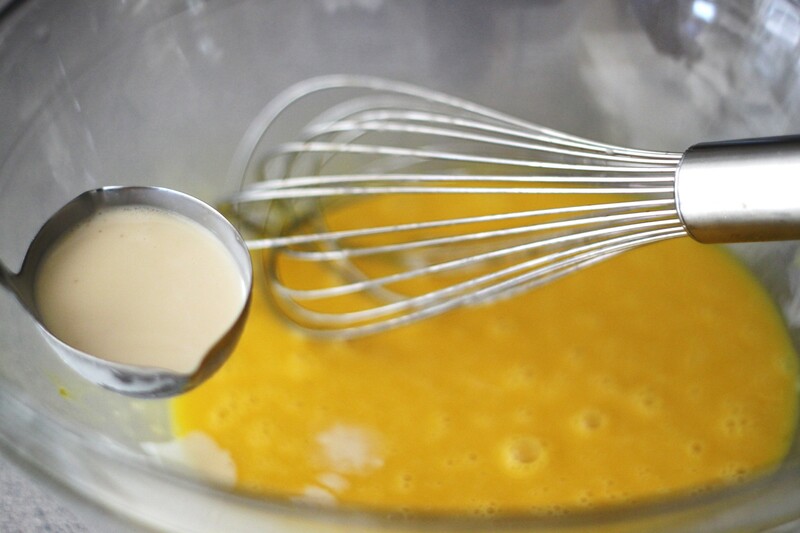 Next, take your tempered eggs and add it to the rest of the cream mixture and whisk. Take the combined mixture and fill the ramekins. 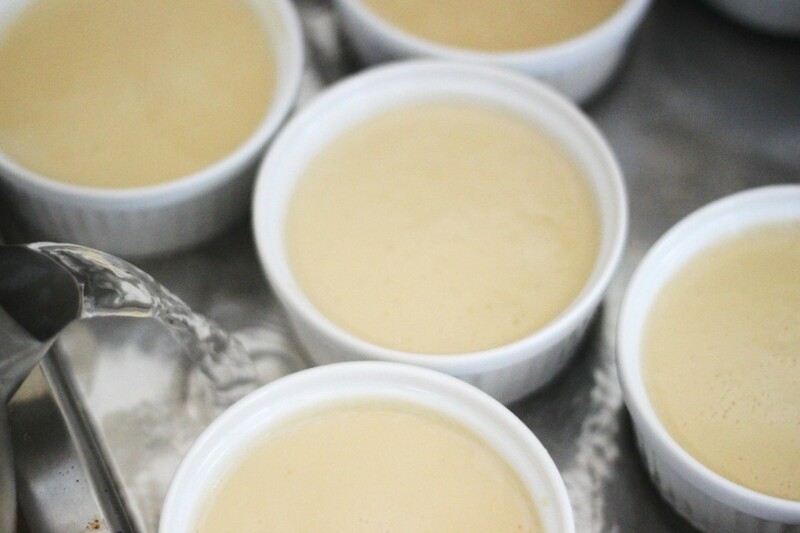 To ensure that the custards cook evenly and completely, we fill up the tray that the ramekins are sitting in with boiling water. Cover with foil and cook for approximately an hour. When they are done, drain the water and cool them in the fridge for at least 3 – 4 hours. As I mentioned, I changed the recipe. 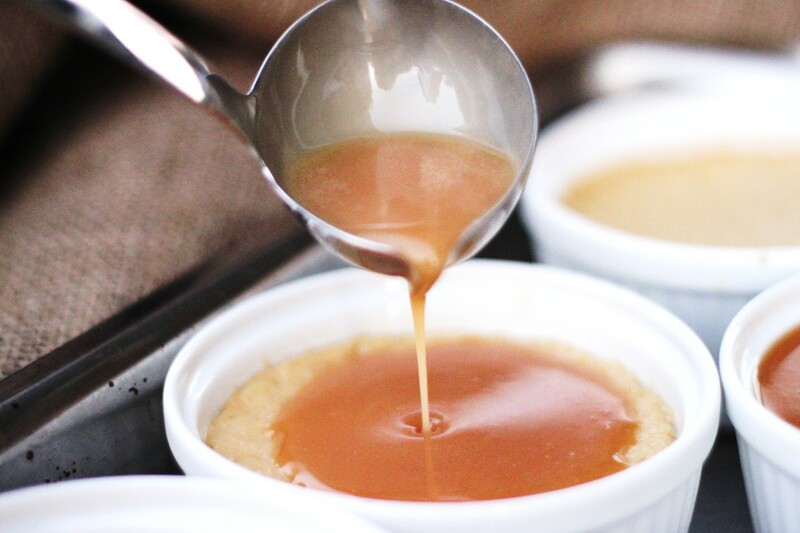 I wanted a creamy caramel not the original recipe’s watery kind that you find in a flan. 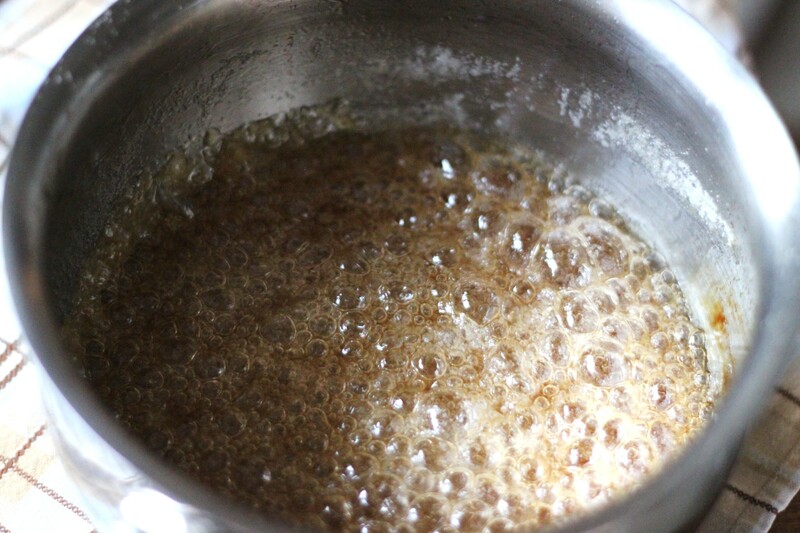 Take sugar and water and boil it up. Don’t stir it, just leave it. 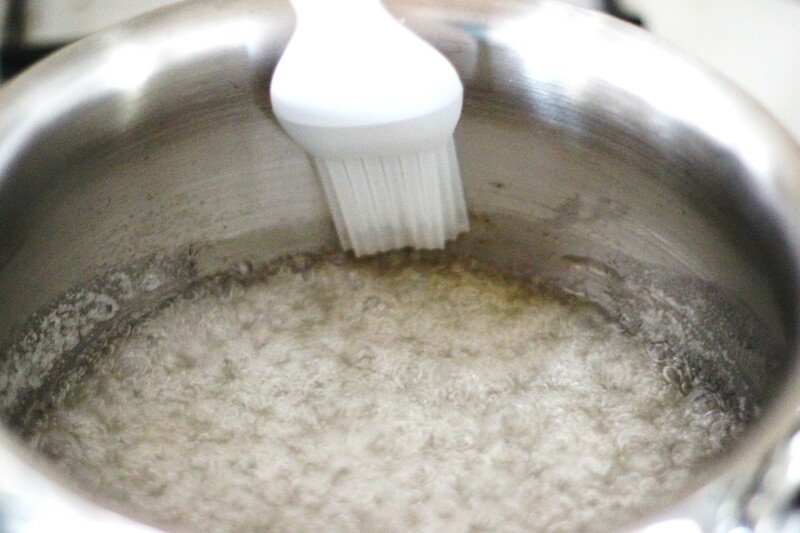 The only thing you have to do is take a pastry brush dipped in water and brush down the sides of the sugar mixture to ensure that crystals don’t form. They end up being crunchy and ruin the sauce. It’s still boiling. You can see that the amber color is starting to develop on one side. I don’t have a candy thermometer so I do it all by eye but if you would feel more comfortable using one then by all means go for it. The next step, (which I don’t have a picture of because it goes really fast and I need to give it my full attention) is to add the cream. You add it in and stir very quickly. This is the dangerous part because it tends to bubble up so put a little distance between you and the mixture. It’s a dangerous job but someone has to do it. 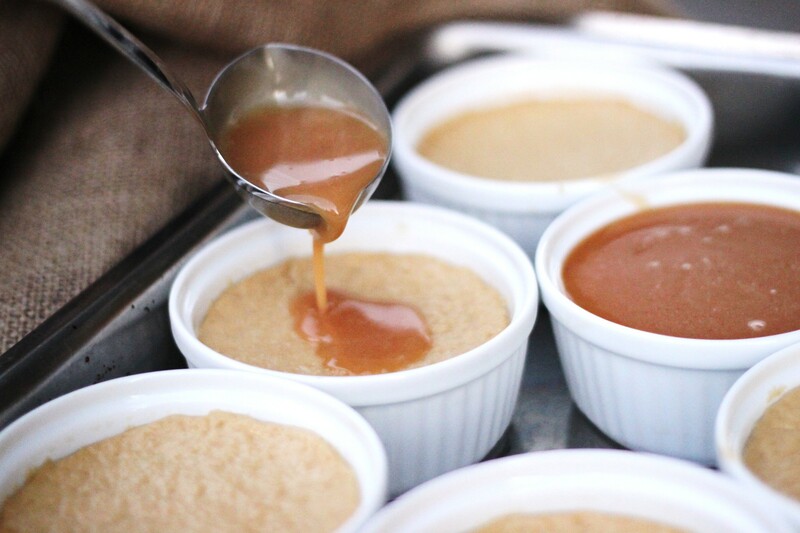 Add your caramel sauce to the top of each custard. Top with a little cream and you’re golden. I had to have a bite. I just had too. I was taste testing. I can’t simply not taste it. Add the sugar, salt, and water to a 2 quart or larger non-stick sauce pan. Place the pan over medium heat. 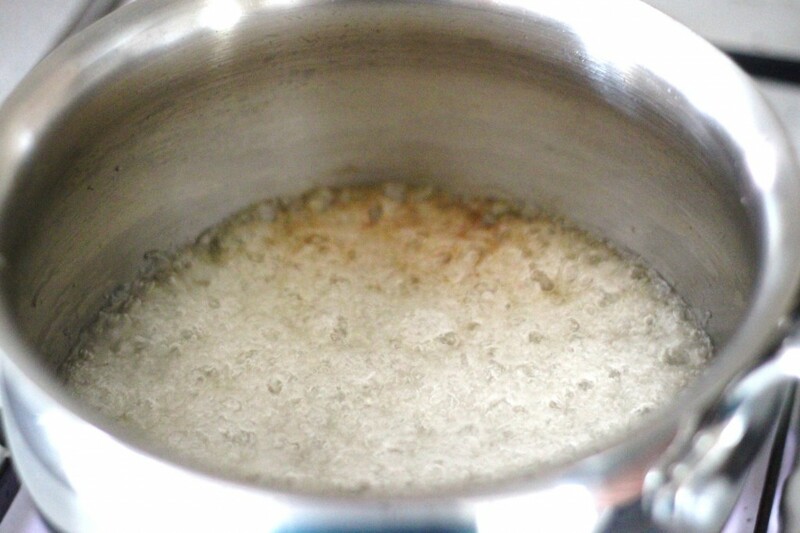 Stir the mixture until nearly all of the sugar has dissolved into the water. Once the deep amber color has been achieved remove the pan immediately from the heat and turn off the burner. Add the heavy cream to the pan. 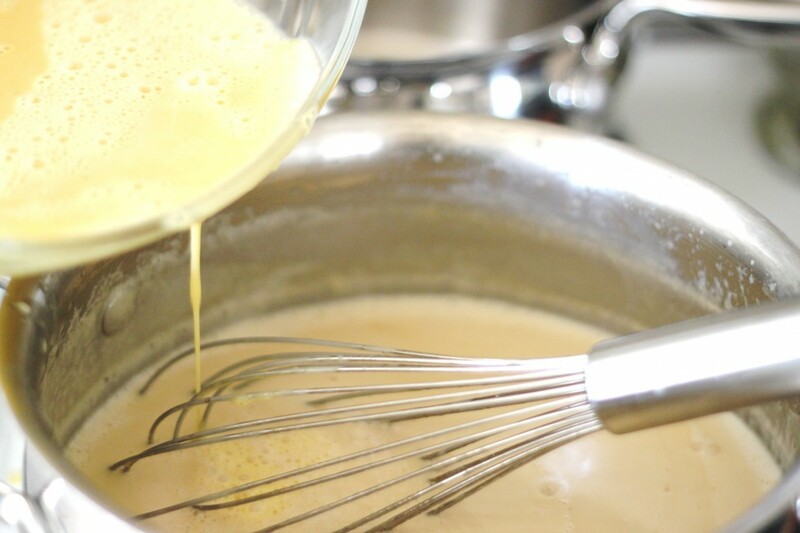 Stir continuously with either a rubber spatula until all of the caramel has dissolved into the cream.